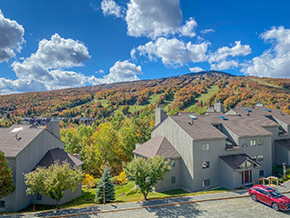 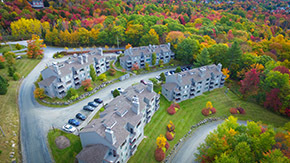 The Snowtree Condo project is located just above the base area of Mount Snow, with most units having direct views of the mountain. 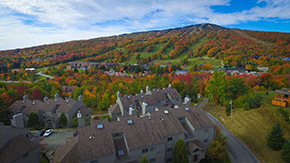 It is a short walk to the lower lifts or you can ride the shuttle to the main base area lifts. 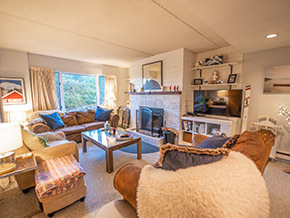 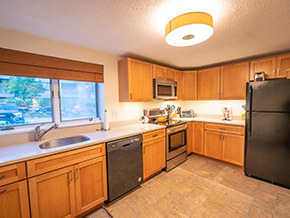 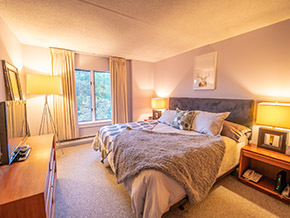 Each unit, ranging from studios to 4 bedrooms, features full kitchens with a microwave oven, cable TV, DVD, most units have dishwashers, most units have fireplaces, and also use of the amenities center.